It is the same old story every weekend. Overripe spotted bananas lying on the counter waiting to be rescued. 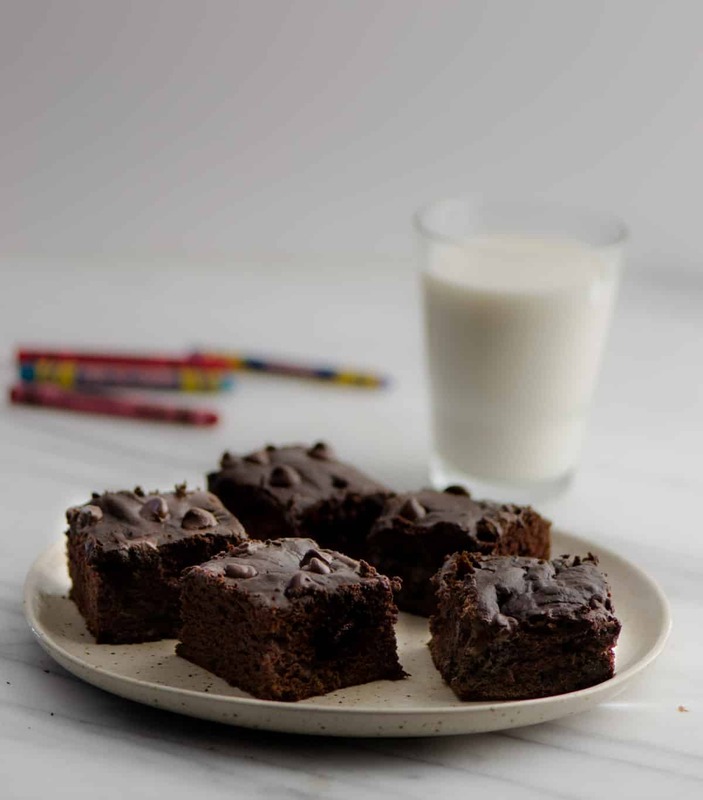 But this weekend had to be extra special – I was sick this past week and the kids were very accommodating so I thought of going beyond the good old muffins. We all needed something spectacular to forget how crappy and miserable this week was. What better than chocolate to lift our spirits up, right? 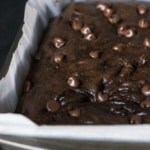 Enter Chocolate Banana Cake – an easy to make delicious and moist snack cake that is perfect for any occasion. Put the wet ingredients in the blender, give it a swirl. Add the dry ingredients and pulse it in. 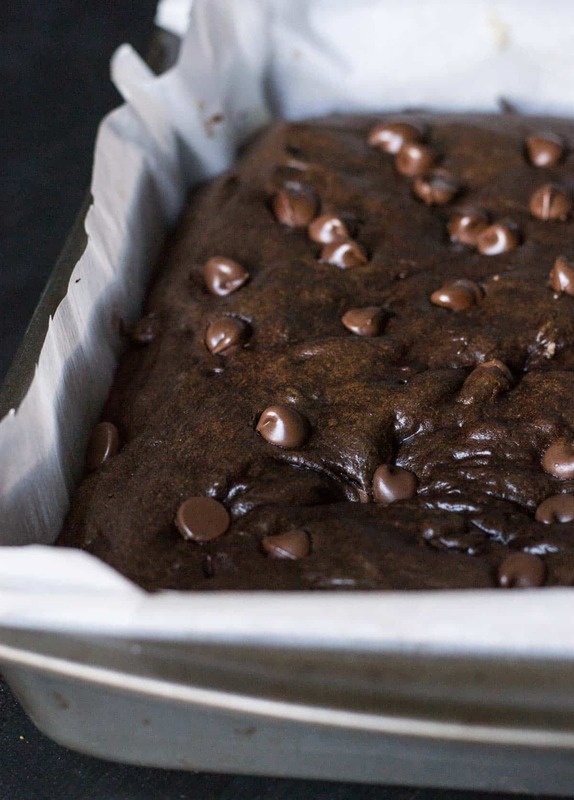 Sprinkle some chocolate chips and in less than 30 minutes you have a splendid looking cake ready to eat. While I used my Blendtec Total Blender to make the batter, you don’t necessarily have to. The directions below reflect both methods. Preheat the oven to 350°F. Line a 9-inch square pan with parchment paper and grease the paper with either cooking spray or butter. 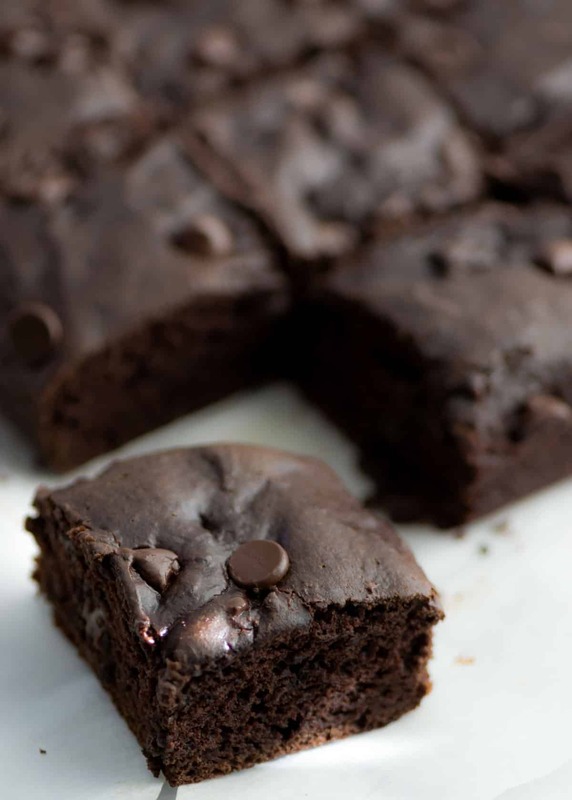 Mix all the dry ingredients - all-purpose flour, cocoa powder, sugar, baking soda, and salt till they are combined. Set aside. In a mixing bowl, add the mashed bananas, coconut oil, vanilla extract, and eggs and mix them well. Add the flour mixture and 1/4th cup chocolate chips and mix them till they are combined. Remove from the oven and let the cake cool in the pan for a few minutes before transferring it to a wire rack to cool completely. Use a serrated knife to cut the cake into slices. Add the remaining ingredients - flour, cocoa powder, baking soda and salt to the blender and secure lid. Press "Pulse" 3–5 times or until dry ingredients are combined with the wet. Add 1/4 cup chocolate chips (if using) to the mixture and press "Pulse" 2-3 times to combine. Loved the recipe? Please leave a comment below to let me know. Affiliate Disclosure: I am grateful to be of service and bring you content free of charge. In order to do this, some of the links on this post are affiliate links, which means that I may earn a commission if you click on the link or make a purchase using the link. I only recommend products that I use and love myself, so I know you’ll be in good hands. Your support in purchasing through these links goes towards maintaining this website. Thank you! So delicious! Can’t wait to try. Thanks for stopping by, Karly.